The results of our survey last Sunday should really serve as a warning shot fired across the bows of the Nationalist Party under its new leadership. The statistics paint a particularly dismal picture for Adrian Delia. Even taking into consideration the margin of error: at just 15.2%, Delia’s approval rate is the lowest ever registered by a PN leader before. More worrying still, it has dropped by an alarming 6.9% in recent weeks. The devil is, as usual, in the detail. A breakdown by age reveals that Joseph Muscat is more trusted than Delia across all age groups. Delia’s trust rating is highest among those aged 65 and over, where he commands the trust of 35.3%. However, he registers a dismal 3.1% trust rating among those aged between 36 and 50. And in the younger generation (18-35), Muscat enjoys a trust rating of 46.8% while Delia only manages 9.6%. But his biggest problem is his evident failure to appeal to his own party’s support-base. Only 39% of those who voted PN in the June general election claim to trust Delia. And unlike the case with Muscat, the Nationalist Party itself scores significantly higher approval ratings (20%) than its leader. All this has serious implications for the future. 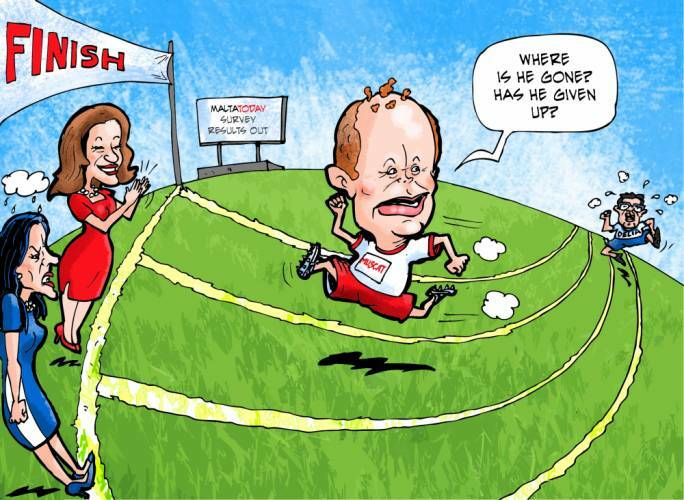 Until now, Delia has (understandably) concentrated his efforts on shoring up his hold over the party’s structures. The recent elections for various party posts appear to have consolidated his grip: in Clyde Puli and Pierre Portelli, Delia will have a trusted secretary-general and media officer respectively. 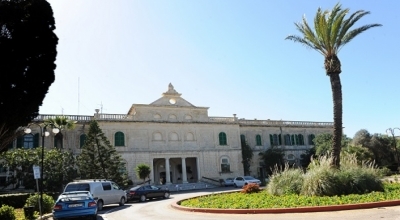 Kristy Debono (elected PN council president) and David Agius (deputy leader for parliamentary affairs) had both openly backed Delia in the leadership race; while Robert Arrigo, as deputy leader for party affairs, may help bridge the divide with the PN old guard. However, the survey suggests that this act of power-consolidation represents only half the battle for Adrian Delia. The real problem facing the PN under its new leadership is not just the (inevitable) disillusionment of the losing faction after last September’s acrimonious election.... it is the fact that the new leader – unlike any of his predecessors - clearly does not command the respect and loyalty of the Nationalist Party’s grassroots. No amount of strategic structural changes within the party can be expected to redress this imbalance. Consolidating power within the party structures may be an important short-term objective for a new leader... but in the long term, Delia will also have to face the fact that more than half PN’s voters in the last election do not identify with their new party leader; and will most likely not vote for the PN with him as leader. It is an unprecedented situation that can only call for unprecedented measures. To address this issue, Delia must somehow turn the tide of negative perceptions that has dogged his fledgling career as PN leader. Once again, the survey results may shed light on where and how his current message is going askew. It is not at all surprising, for instance, that Delia clearly has very limited appeal among younger voters. Despite the promise of a ‘New Way’ during his leadership bid, Delia has actually reinforced the old stereotype of the PN as a stuffy, archaic and moth-eaten confessional party, of the kind that was rejected by the electorate in 2013. 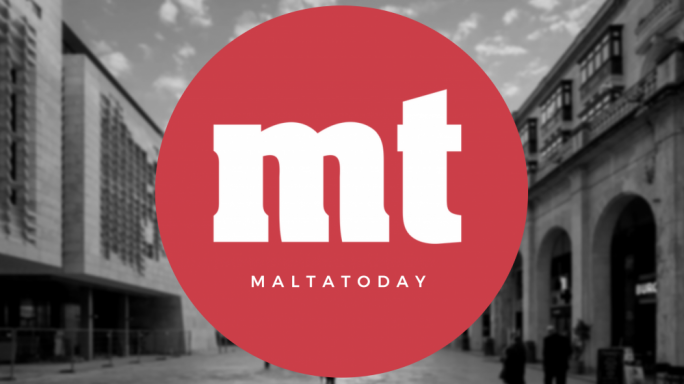 With his opposition to the marriage equality bill in particular, Delia appears to have undone Simon Busuttil’s efforts to placate the gay lobby. His overtures to Malta’s ‘Catholic, Latin’ roots may be music to the 65+ age bracket... though even here, only to the tune of 35%... but the PN will need the support of other categories if it is ever to mount a serious challenge to Muscat’s Labour. Moreover, Delia’s strategy to date has been to emulate – in external appearances, at least – the rhetoric and appeal of party mentor Eddie Fenech Adami. What he may not yet have understood, however, is that Eddie’s avuncular appeal is something that cannot realistically be imitated by a man 40 years his junior. Fenech Adami’s unique aura as a politician was forged in the furnace that was Malta in the 1970s and 1980s. And no one ever doubted the sincerity of his religious convictions and conservative views, because these qualities were also reflected in his private life. With all due respect, the same simply does not apply to Adrian Delia. And the strategy itself had already failed in the case of Gonzi: who was ideologically a lot closer to Eddie than Delia. Perhaps the hardest hurdle to overcome is the legacy of his public spat with Daphne Caruana Galizia. It is by no means a coincidence that Delia’s trust rating plummeted after her murder last month. The words ‘bicca blogger’ must be haunting the PN leader every step of the way. All the same, it is not too late to reverse the unfortunate trend. But Delia has to take stock of where his real challenges lie, and find the courage to take truly unprecedented steps as leader.